Head’em Up! Move’em Out to Booth Museum in Cartersville! Head ’em up! Move ’em out! 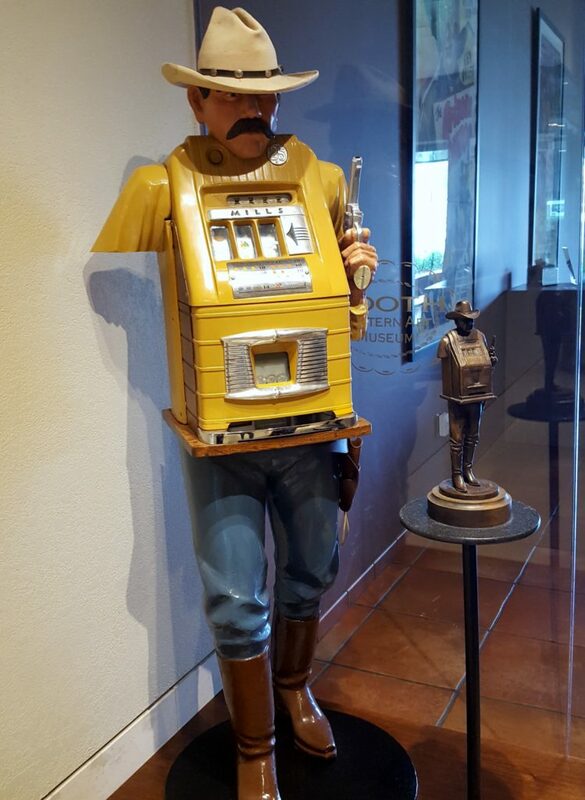 Drive your posse to one of the most impressive collections of western art to be found anywhere. That’s right. Anywhere. 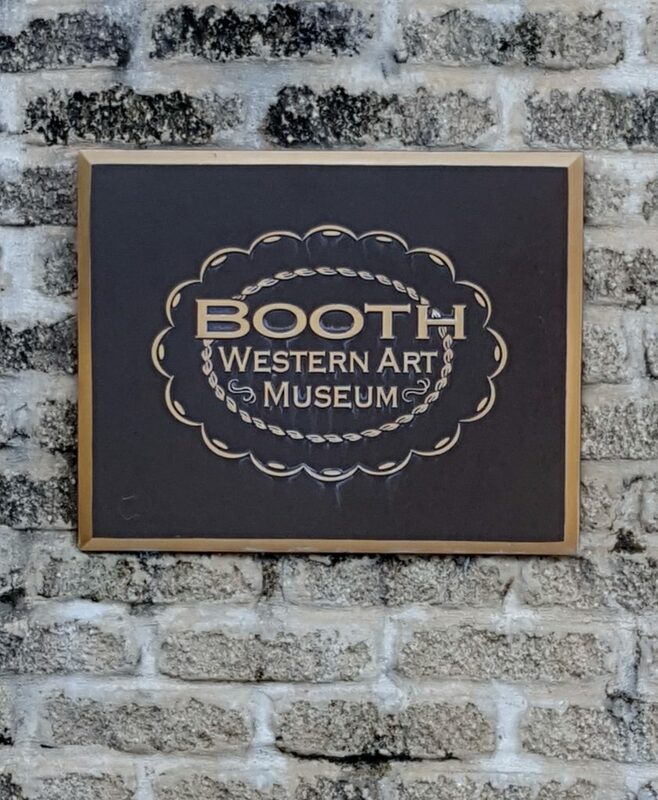 The Booth Western Art Museum is located just a few minutes off I-75 north of Atlanta. To give you some idea of how special it is, there are only nine official Smithsonian Institution Affiliate museums in Georgia and this is one of them. Oh, and another thing, Cartersville is the only city, besides Atlanta, that can boast that it has more than one Smithsonian Institution Affiliate museum. Tellus Science Museum is the other one. 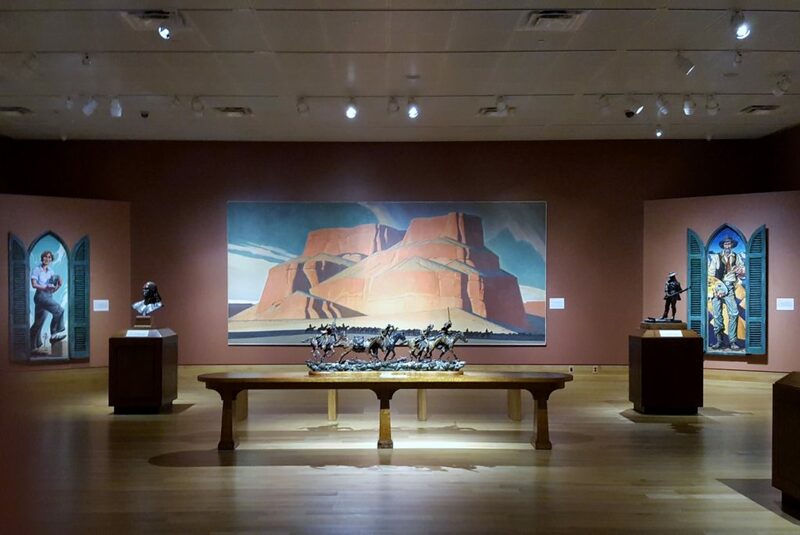 More than just paintings of cowboys, this stunning collection is housed in a beautiful, modern facility. 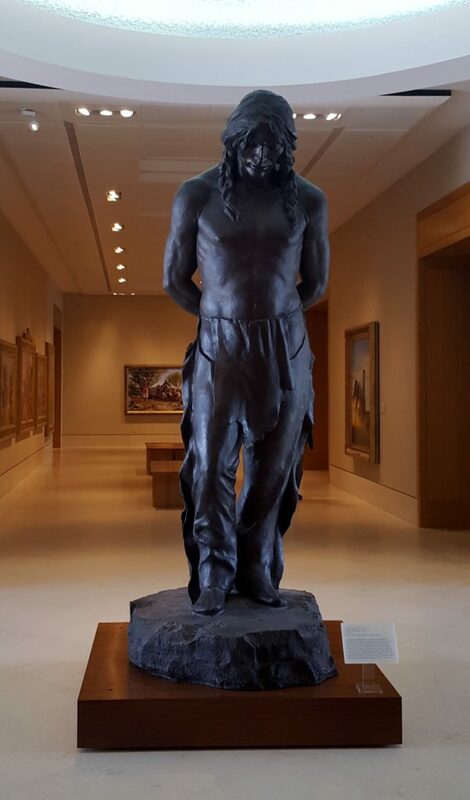 At 120,000 square feet, the Booth Western Art Museum is the largest permanent exhibition space for western art in the United States. 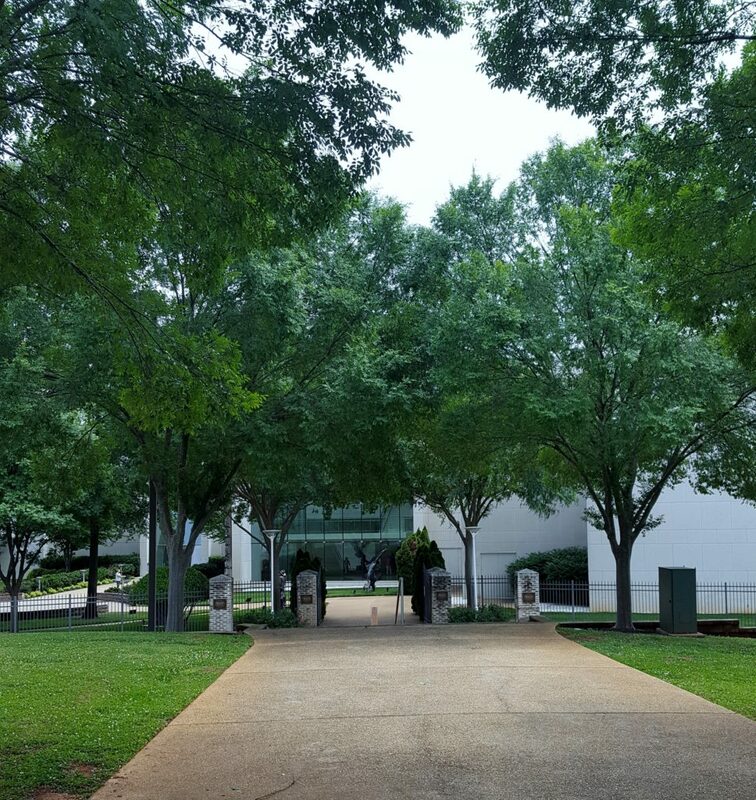 From the outdoor sculpture area, to the theatre, to the galleries, it’s obvious that a tremendous amount of thought went into the design, construction, and collections of the museum. From the moment you enter the gate, as you make your way across the courtyard, you’ll be fascinated and amazed by the outdoor sculptures. You’ll not only admire the talent, skill and creativity that went into the creation of each piece, you’ll marvel at the feats of engineering that hold them in place. When you purchase your ticket at the front counter, be sure to pick up a map. You’ll need it because this place is huge. Take the time to see the award-winning orientation film “The American West” in the theatre. It starts every 20 minutes. 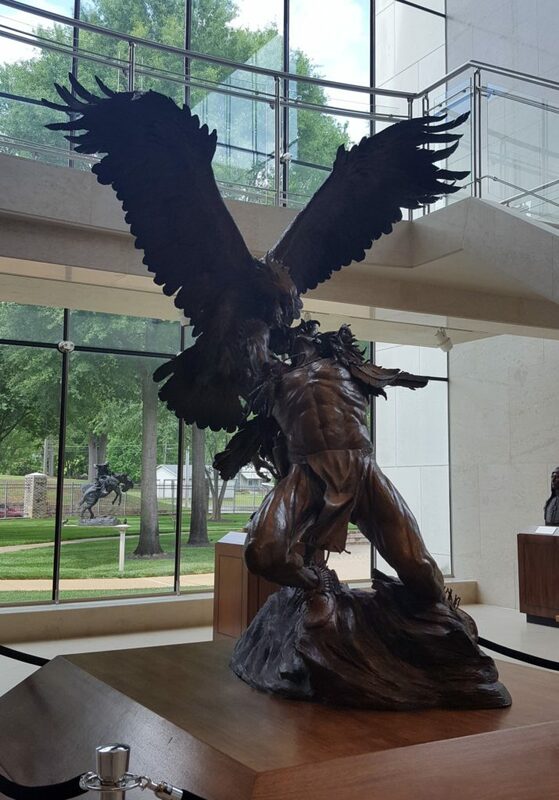 Galleries feature contemporary western American art, historic western art, Civil War art, presidential portraits and letters, old western movie posters, and western illustration. There are paintings, sculptures, pottery, Native American handicrafts, fancy leather work and so much more. The art is rotated periodically, so there’s always something new to see. All these handsome cowboys make us wonder if being good looking was a job requirement. It makes us think that the good-looking cowboys in the movies are just being historically accurate. Sam Elliott, we’re talking about you. This museum is fun for all ages. 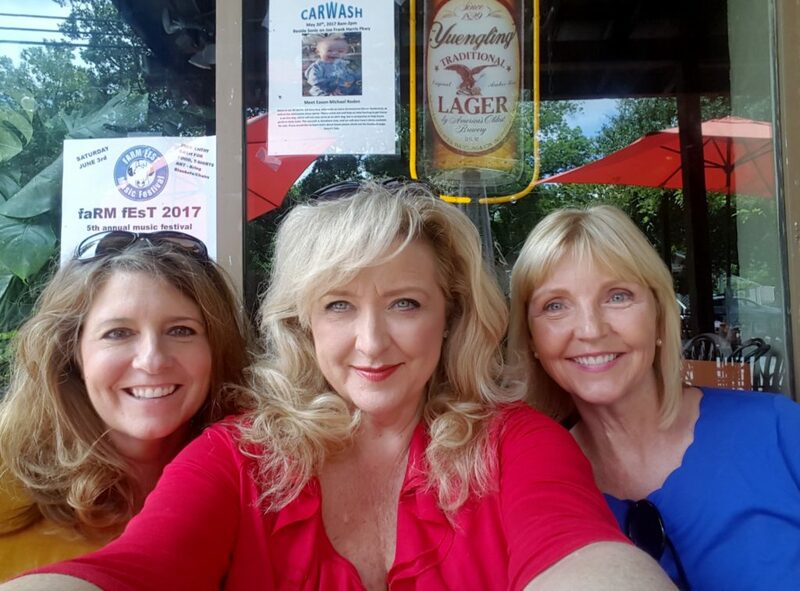 On the lower level, you’ll find Sagebrush Ranch Gallery, a hands-on, interactive space, organized like a working ranch, where children ages 2-12 can learn about art and western culture. Artists commonly associated with western art such as Charles Marion Russell, Alfred Bierstadt and Frederick Remington are well-represented here. There are also beautiful works by artists not usually associated with western art, such as LeRoy Neiman. Some of the paintings were done over 100 years ago and some were painted in the 21st century. All are of the highest quality. There’s so much to see! One of the most interesting exhibits is the Millar Presidential Portraits and Letters Gallery. 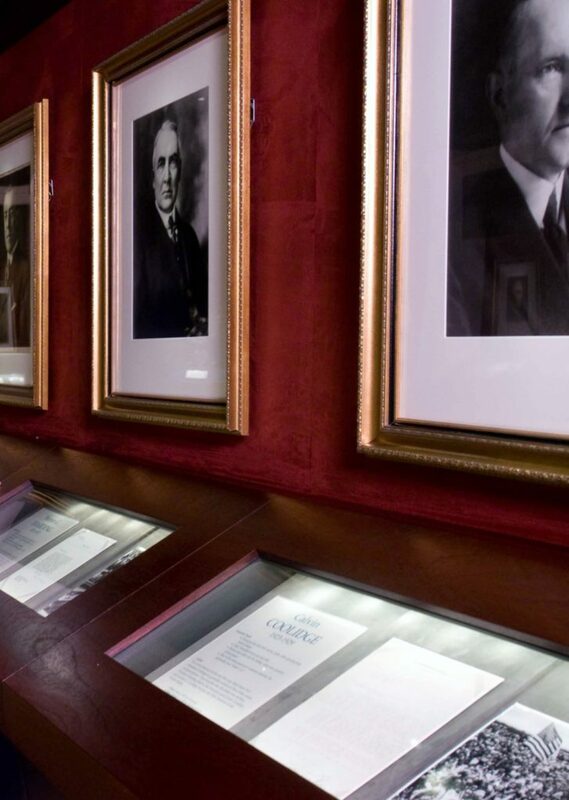 Located on the upper level, it contains a picture of, and a letter written by, every President of the United States of America (except for the two most recent men to hold that office). It is a fascinating peek into their personalities and issues of their times. We encourage you to start with George Washington and see them in chronological order. Not only will this give you an up close view of a small facet our nation’s history, it’s fascinating to see the technology of photography progress over the decades. 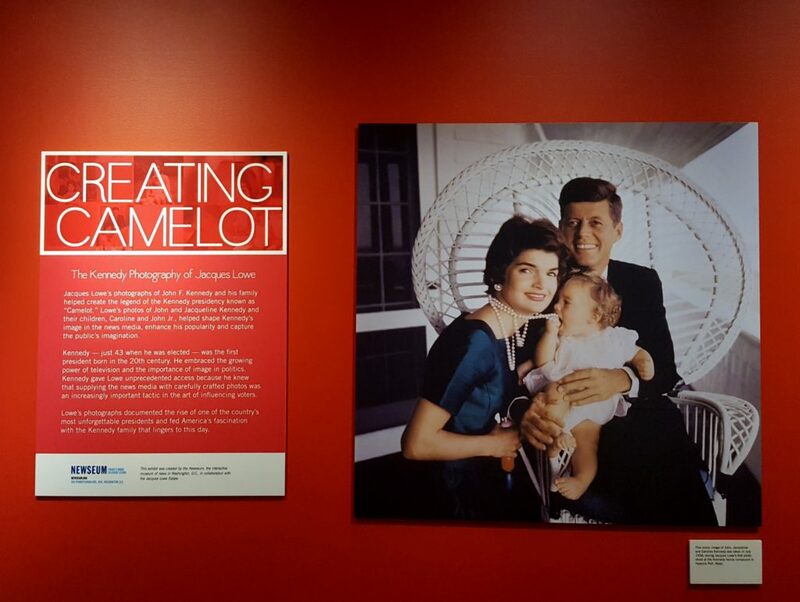 Creating Camelot: The Kennedy Photography of Jacques Lowe is an absolute “must see.” Also located on the upper level, this temporary exhibit includes more than 70 of the most beautiful photographs of JFK and his young family ever displayed. 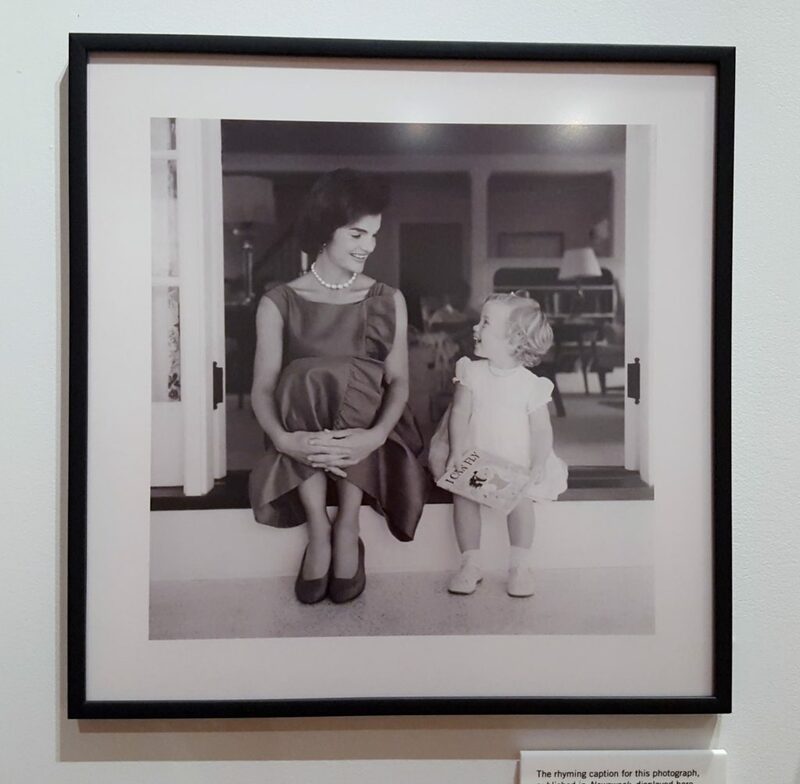 These intimate photos of President John F. Kennedy, his wife, Jacqueline, and their children Caroline and John, Jr., helped create the “Camelot” ideal. Jacques Lowe was the Kennedys’ personal photographer from 1958 through JFK’s early years in the White House. The colors are bold and the subject matter remains endlessly fascinating. When you go, spend a few hours or all day. If you work up an appetite, The Cafe is open Tuesday through Saturday from 10:30 a.m. to 3:30 p.m., serving light lunches and snacks. 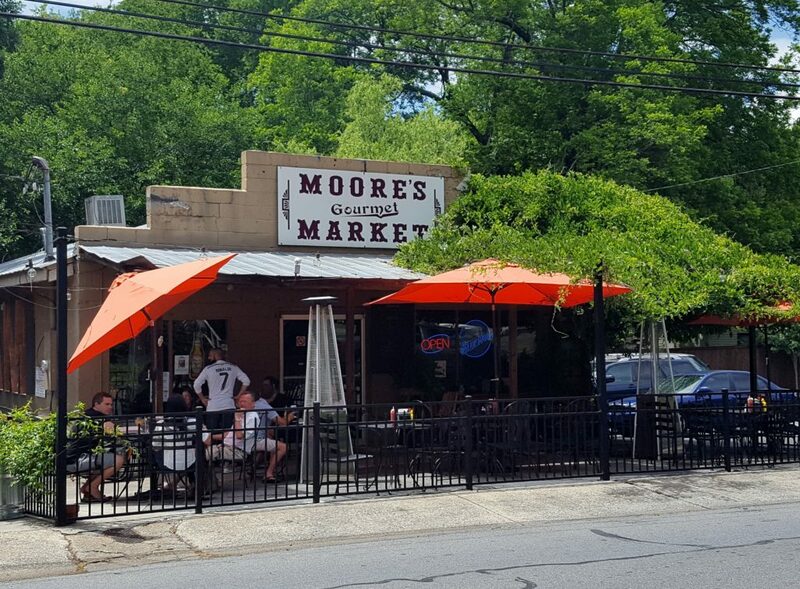 Or, see last week’s blog post for a review of the scrumptious Moore’s Gourmet Market located about a five-minute drive from the museum. 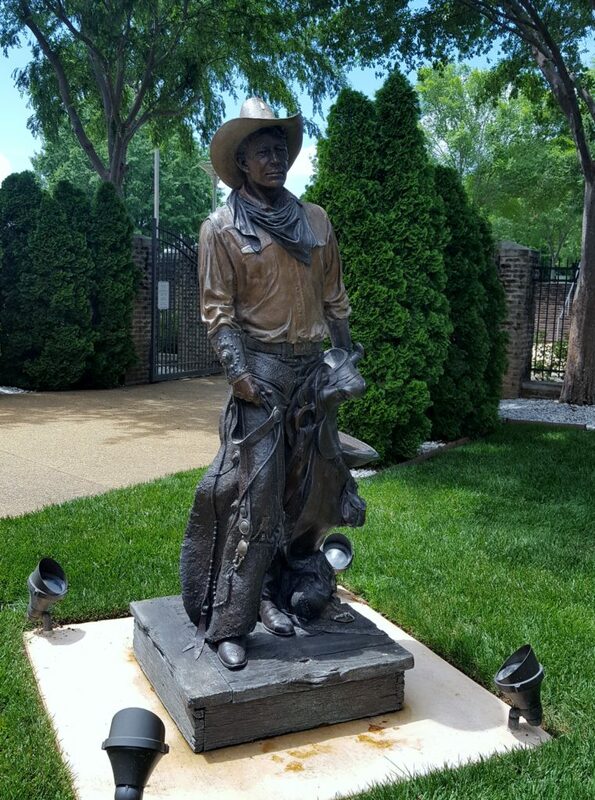 Booth Western Art Museum, 501 Museum Drive, Cartersville, GA 30120. Hours: Monday Closed; Tuesday – Wednesday 10:00 a.m. – 5:00 p.m.; Thursday 10:00 a.m. – 8 p.m.; Friday – Saturday 10:00 a.m. – 5:00 p.m.; Sunday 1:00 p.m. – 5:00 p.m.
Join us next week for a couple of tasty stops in Peaches on the Road that the whole family will enjoy. Until next time, Love and Peaches! I’ve been to this delightful museum and have also eaten at Moore’s Market. Your reviews were spot on. Such a delightful way to spend time looking through history and eating great food!